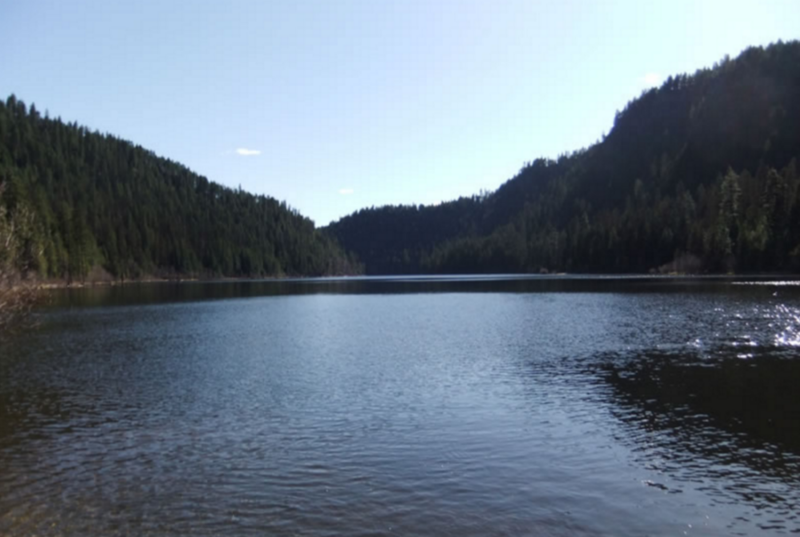 This lake (not to be confused with Bailey Lake in Spokane County... two different lakes) is at an elevation 2,342 ft. and ten miles slightly northeast of Chewelah in the Little Pend Oreille Wildlife Refuge. This lake is actually split in half with a dike road through the middle with public boat launch but motorized crafts are not allowed. Also includes a fishing do. This is a fly fishing only lake, which is allowed from the 4th Saturday in April through July 4, with a 14 inch, 1 trout limit. In additional catch-and-release season runs through October 31. The inlet stream is closed to all fishing, this is where Brook trout spawn. Rainbow trout are stocked. Call Little Pend Oreille National Wildlife Refuge headquarters in Colville at (509) 684-8384 for more details and updates on fishing rules, the current lake level, etc. See lake fishing details here. Directions/Maps: To view a map for directions click on http://www.google.com/maps and type in Bayley Lake, Pend Oreille County, WA. ACCESSIBILITY: PARKING... Gravel dirt combo parking lot; PATHS/TRAILS... One paved path to fishing platform/dock; RESTROOMS... One accessible restroom; SHADE/FACILITIES/SHADE… Shade via trees; SENSORY... No sensory tactile markers for those with visual and other impairments. DOCKS/LAUNCHES/PLATFORMS… No docks. One gravel launch at about 7% grade. One fishing platform. Launch off bank; DIRECT WATER ACCESS… No access for wheeled mobility devices; TRANSFER SYSTEMS... None; SENSORY... No sensory tactile markers for those with visual and other impairments; CAMPING... No; O.T.H.E.R… Oddities/Barriers: Nothing unusual; Terrain: Level to about 7% grade; H2O/Water: Water normally murky. Water temperature in the summer can be around 60 to 70 degree. No drinking water available; Environmental Conditions: Varies throughout year; Resources: Food, drinks, and gas in town/city of Chewelah, WA.